A laugh (or pity) for a survey? Tigers have a new Chew Toy! Drone Spying-Do Privacy Experts Have This Right? Never Saw That Coming for Drones. 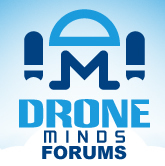 What Type of Drone User Are you? Did you see the video of the drone pilot who filmed the approach of the passenger jet? ?